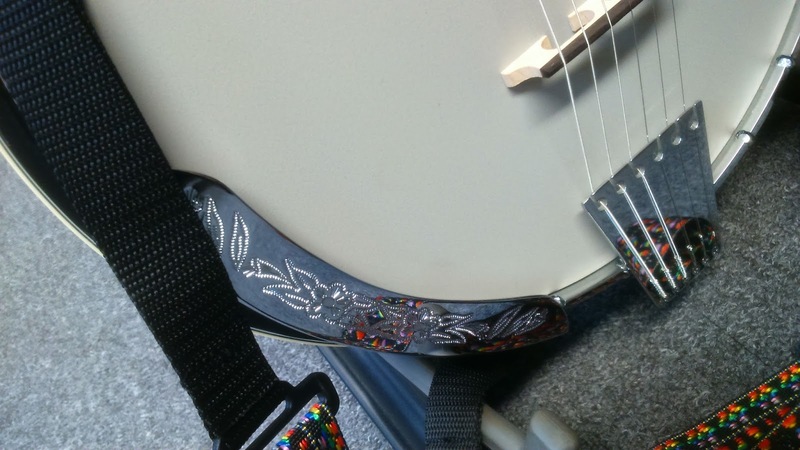 So i was surfing the web and came across this rather beguiling looking banjo which I now own! Its a six string banjo, meaning a banjo that has six strings....I suppose the clue is in the name. Not exactly a new concept, these have been around since the Victorian banjo craze. The very earliest example I personally have seen is a six string banjo made in 1881 see BANJO . 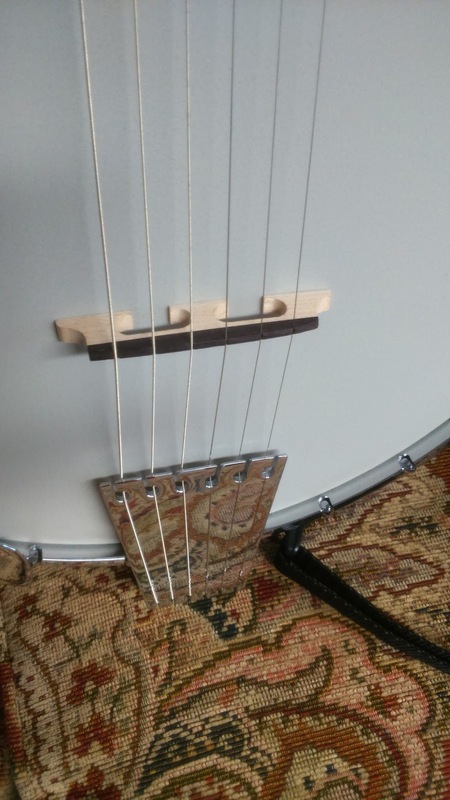 Not to be confused with a Zither banjo, this is a banjo that has the exact same tuning as a regular guitar but the two lowest gage strings (strings 5 & 6) tend to have lighter gage strings than a regular guitar being anywhere around 42 to a light 35 for the bottom E string. I do have a complete collection of Groves Encyclopaedia of Music & Musicians and it makes for interesting reading on the subject of the banjo and the six string banjo is clearly referenced. 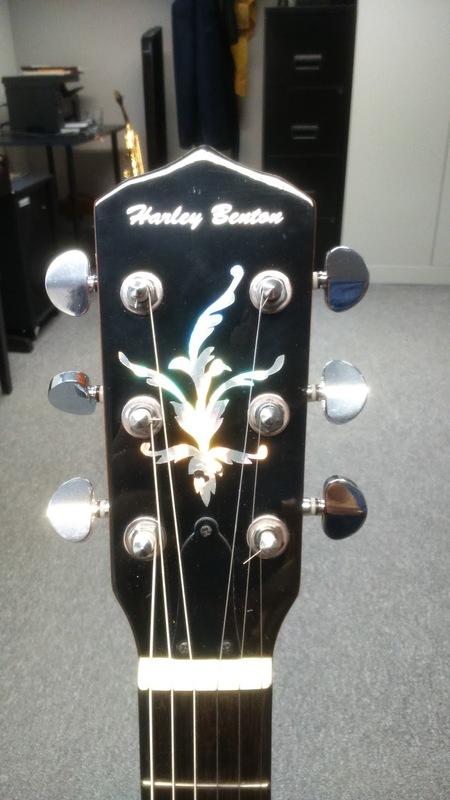 So this banjo was purchased from Thomann, it's a Harley Benton six string banjo. 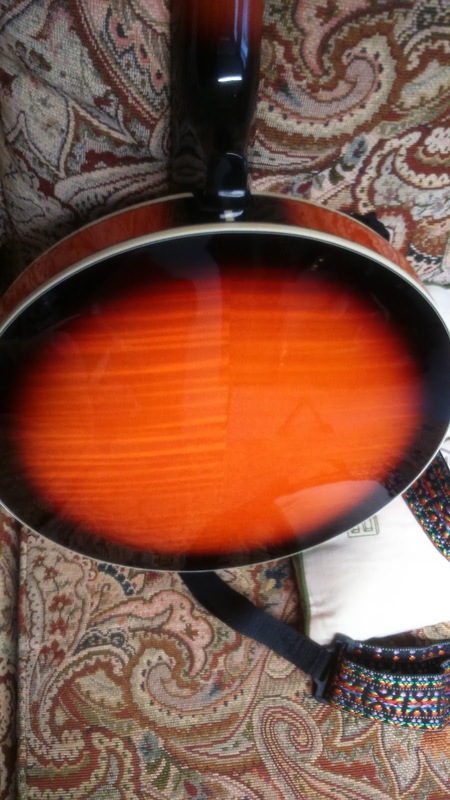 Model BJ-65Pro, it's a heavy beast with plenty of volume much louder than its predecessor Model HBJ-26 and considerably more ornate with nice purfling detail and decorative inlays on the headstock and fingerboard. 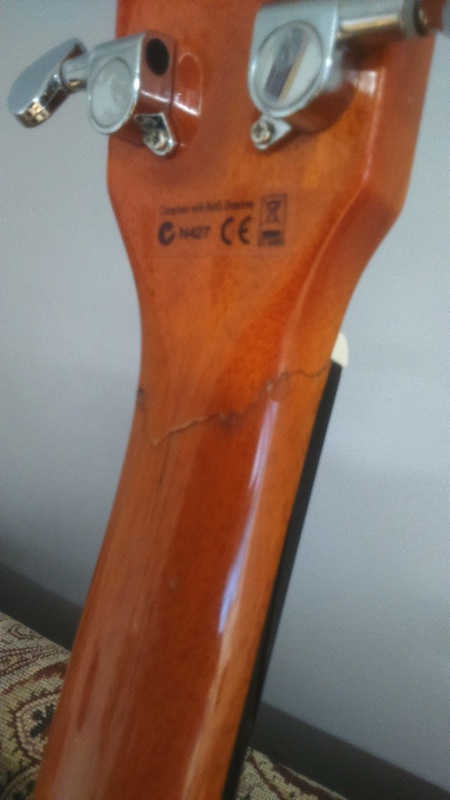 It was a rather odd purchase really, it was listed as unplayable which became apparent when it arrived with a broken head! 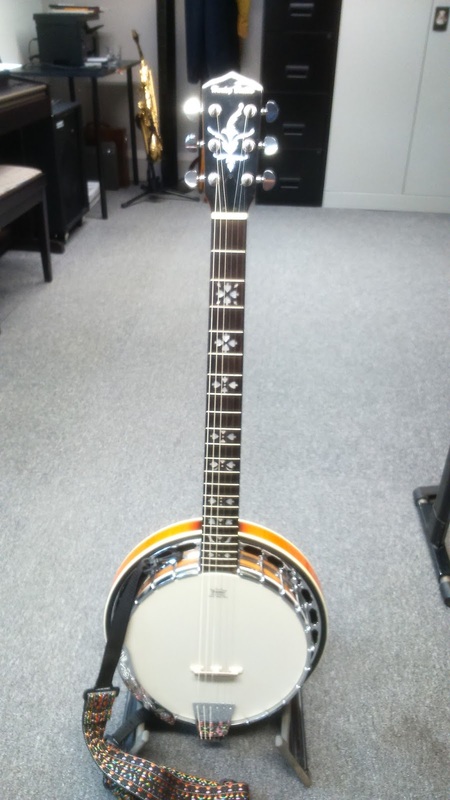 Still I was able to send it to Stan Gee of Redcar a fine banjo player, collector & seller who was able to give it some TLC to make it whole again AND playable! 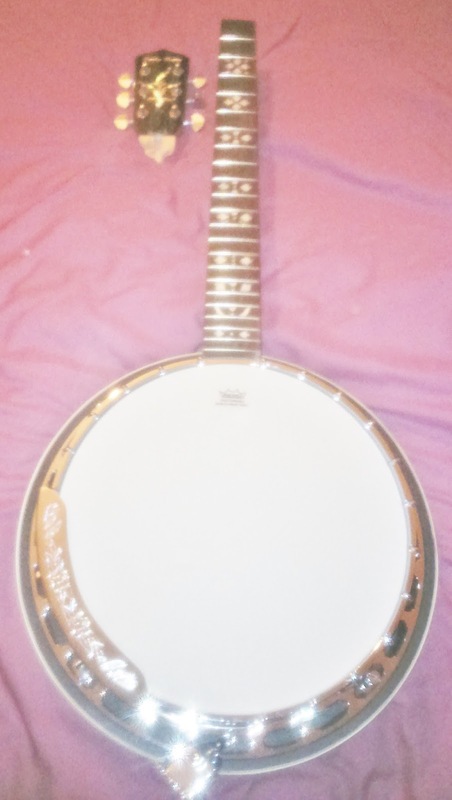 I must say i'm now rather pleased with this banjo. I paid £70 for it and a little extra to have it fixed. My opinion is that six string banjos are best suited to traditional jazz (dixieland), folk or country style music or possibly some hybrid style of the former. 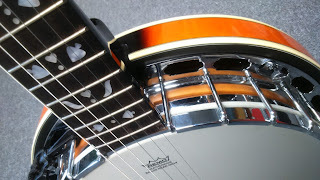 Finally, please don't call it a banjo guitar......it's not a guitar! It's a banjo with six strings tuned the same as a guitar, they existed well before its more well known Bluegrass 5 string banjo. Its just a another banjo with six strings. Lots of famous people played these including Johnny St Cyr from Louis Armstrong's Hot Five to Django Reinhardt, to name but a few!